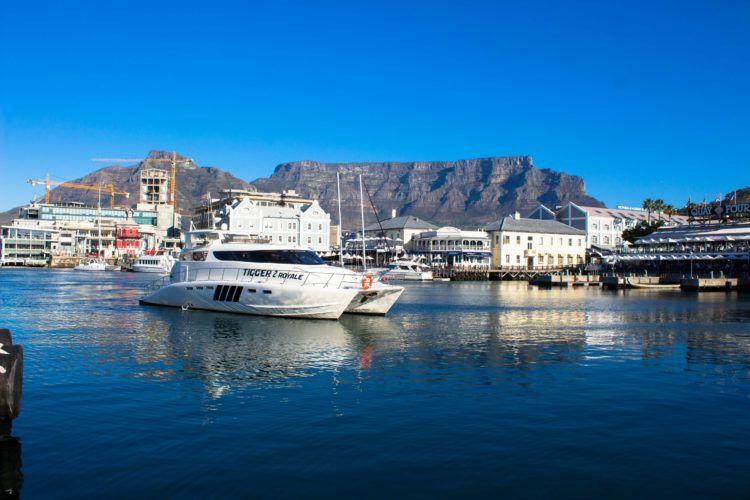 How does a sunset cruise along Cape Town’s famous V&A Waterfront sound? Or how about a fun teambuilding event on the magnificent waters of the V&A Waterfront? These aren’t the only options available to those looking to enjoy boat cruises along Cape Town’s pride and joy. We offer a floating restaurant experience too, as well as corporate charters for product launches, and even training events. We are a boat cruise company known for prioritising our clients’ needs, and going the extra mile to help you create the perfect event for your clients, staff or loved ones. Over the years, we’ve hosted an extensive variety of charters for our corporate clients, including decadent lunches and dinners, cocktail parties, and extravagant affairs that incorporated string quartets, DJs and golf at sea, as well as costume parties. When looking to book your boat cruise through us, the sky is truly the limit. We’re happy to discuss the practical implementation and logistics behind your ideas, and to help you bring your vision to life. Although we have a branding partnership in place with Pongrácz, we provide branding opportunities that allow you to make a publicity splash in the heart of the popular V&A Waterfront, if you need. Throughout the years, we’ve helped national and international clients to bring attention to their brands, some of which include KPMG, Peroni, Absolut Vodka, Old Mutual and BHS Billiton, to name only a few. We ensure that you have the perfect experience for your product launch, or provide your team with a fun day of teambuilding. Simply speak to us about your specific needs, and let our team of seasoned professionals meet these needs. Another popular aspect of our boat cruise company is teambuilding events. Show your appreciation with style by treating your team to an upmarket concept of cruising along the Cape coastline. Add another element of fun to your teambuilding experience by including any of our fun activities, including golfing at sea. Why not add a twist to your game, and practice your tee off shot in the big blue, with the impressive Table Mountain and 12 Apostles mountain range keeping a watchful eye over you and your team? If golfing isn’t for you, what about boat-based clay shooting? Book a boat cruise with all the equipment on board to shoot under the supervision of a qualified and safety-certified instructor. Divide your party into groups to give it a more competitive edge. These are only a few of the many options you have when booking boat cruises through us. We look forward to welcoming you and your party aboard, and to providing you with a memorable experience that’ll stay with you. To book your preferred boat cruise, and secure the date that you want, confirm your booking well in advance. Speak to us today to learn more about our many different cruise options.